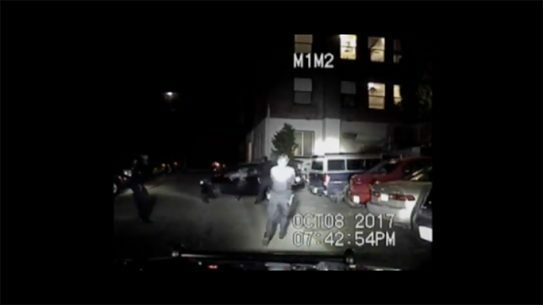 Critics calling for the job of a Winston-Salem Police Officer who arrested a 14-year-old girl pulled back after seeing body cam footage of the incident. 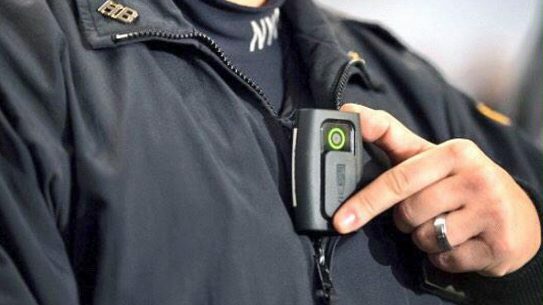 The New York Police Department has issued a body cam recall for 2,990 units after one exploded while an officer was on duty. 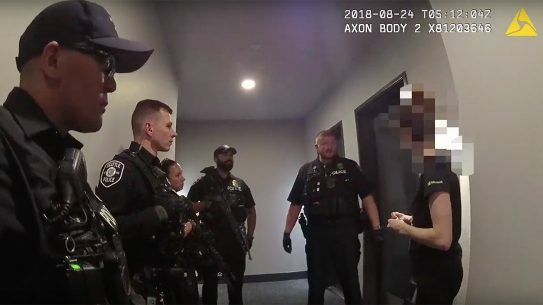 Body cams captured a recent Seattle swatting incident in which a caller said he had five hostages and would kill them unless he received $5,000. 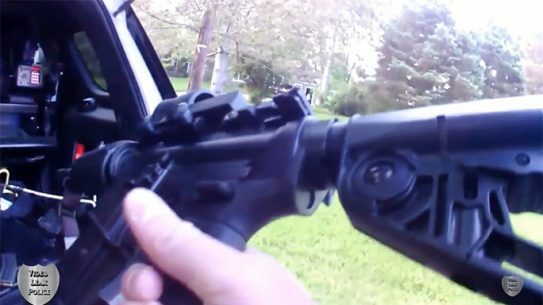 A Baltimore Police Officer survived a shootout with a suspect after his body camera and vest stopped two rounds aimed at his chest. 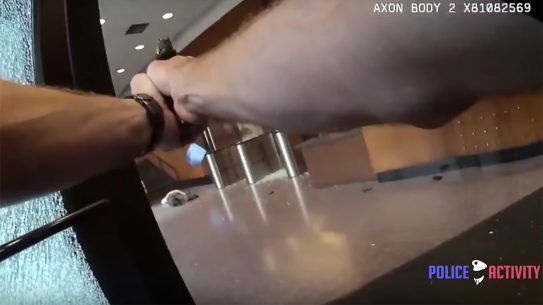 Recently released security and body cam footage of Thursday's fatal Cincinnati bank shooting shows the gunman opening fire and the response of four police officers, who shot and killed him. 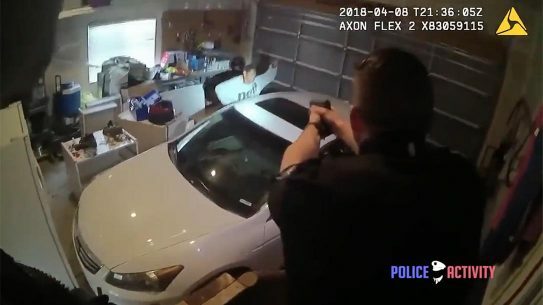 West Valley City police officers in Utah shot and killed 20-year-old Elijah Smith after he committed a theft and broke into two different homes while running from cops. 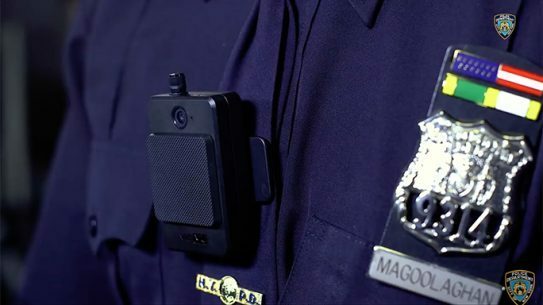 The Safariland Vievu LE5 body camera is Bluetooth and Wi-Fi enabled, features a user-selectable field of view and has a battery life of 12 hours of continuous recording. 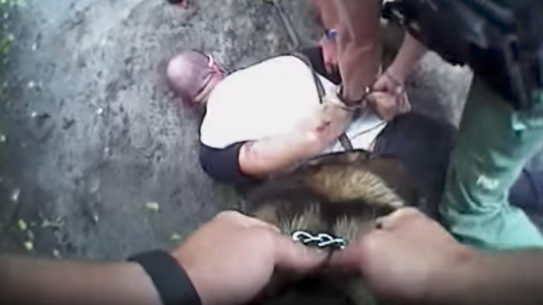 Suspect immediately regrets his decision to run from police as Pasco Sheriff's K-9 Shep chases him down, then celebrates arrest with handler. 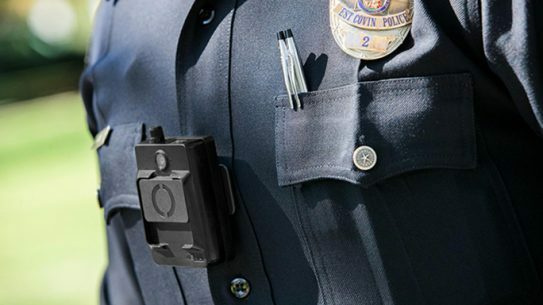 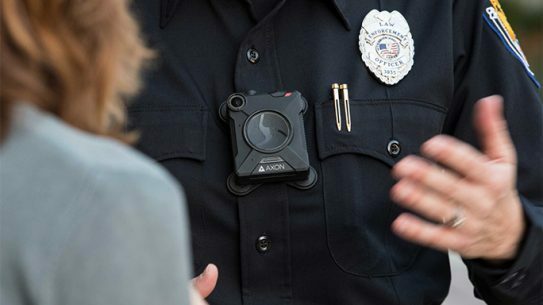 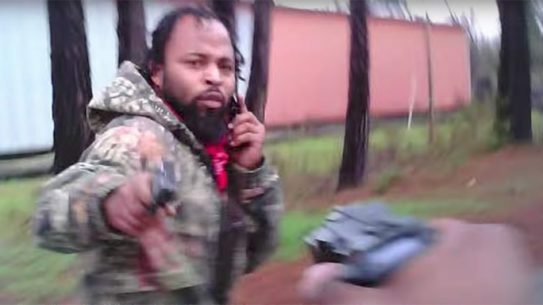 A body-worn camera that captured a non-fatal 2016 police officer shooting in South Carolina recently helped render a guilty verdict. 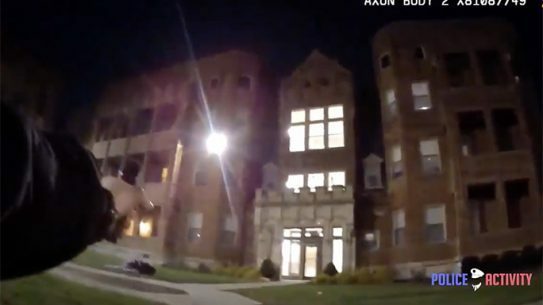 Newly-released footage of an officer involved shooting in Columbus, Ohio shows the suspect reach for a gun before getting shot by responding officers. 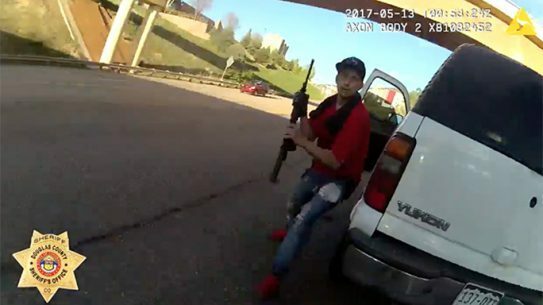 A Colorado police officer opened fire on a motorist who attacked him with a rifle during a traffic stop in Littleton. 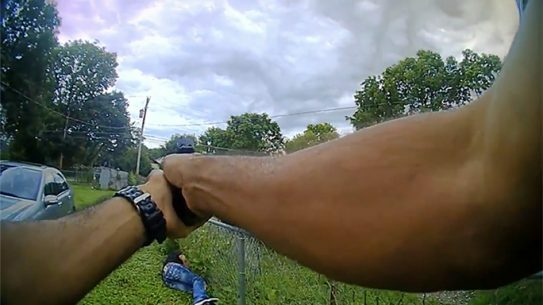 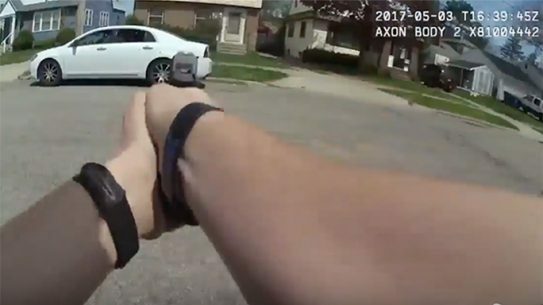 Body cam footage of an intense shootout between Cincinnati Police and an armed suspect has been released to the public.